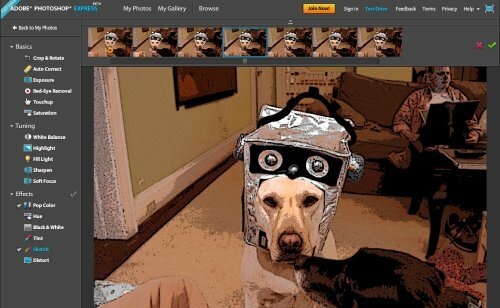 Adobe just launched Photoshop Express, an online version of its image editing software. I have played with it a bit, and it does have some value. Obviously do not expect to have an alternative to the real Photoshop suite online, but for minor editing tasks it gets the job done. You can crop, rotate, add some visual effects, change colors and the like. It is good to see that even mainstream companies are starting to explore online solutions.